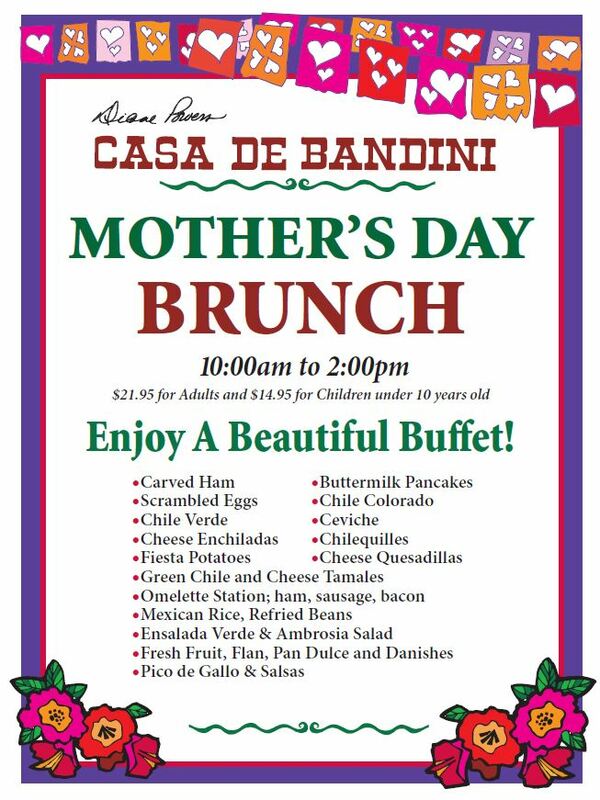 Spend Mother’s Day with Casa de Bandini! 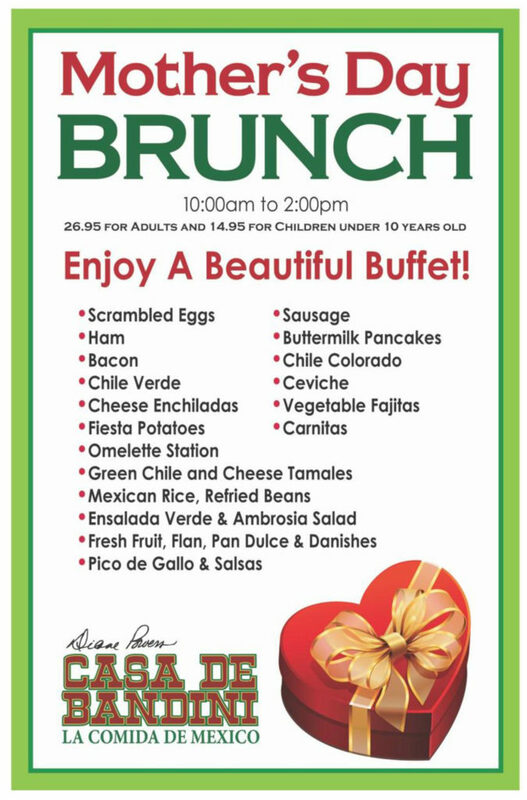 Bring Mom and the whole family to celebrate Mother’s Day with a beautiful brunch buffet from Casa de Bandini! 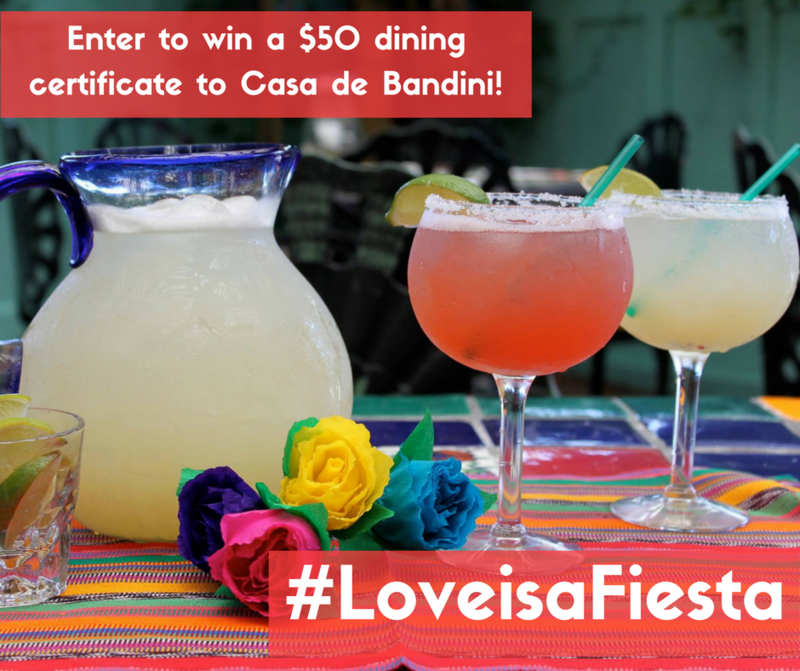 Win a $50 dining certificate to use this Valentine’s Day, or after, from Casa de Bandini! 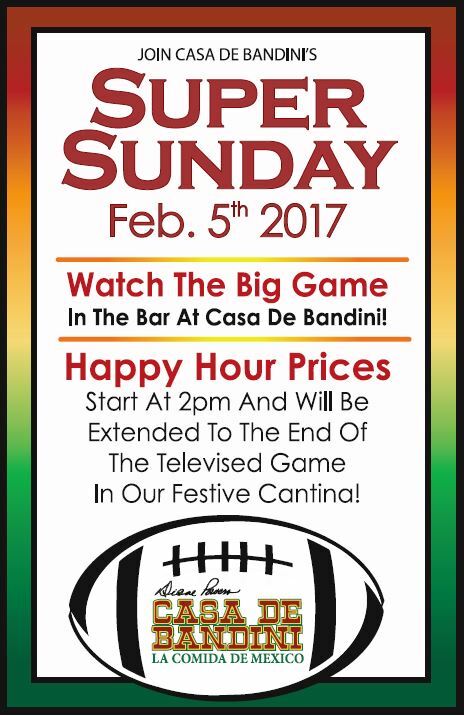 Share a photo on Facebook, Twitter or Instagram of yourself with the love of your choice eating at Casa de Bandini. Tag the restaurant and use the hashtag #LoveisaFiesta, and you could win a $50 dining certificate to use for a special Valentine’s Day dinner, or any time in 2017! 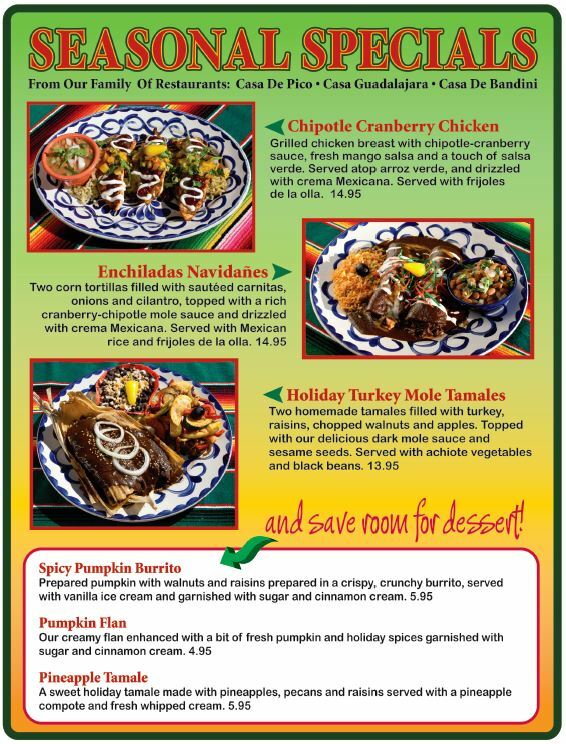 Our Holiday Specials are Back! 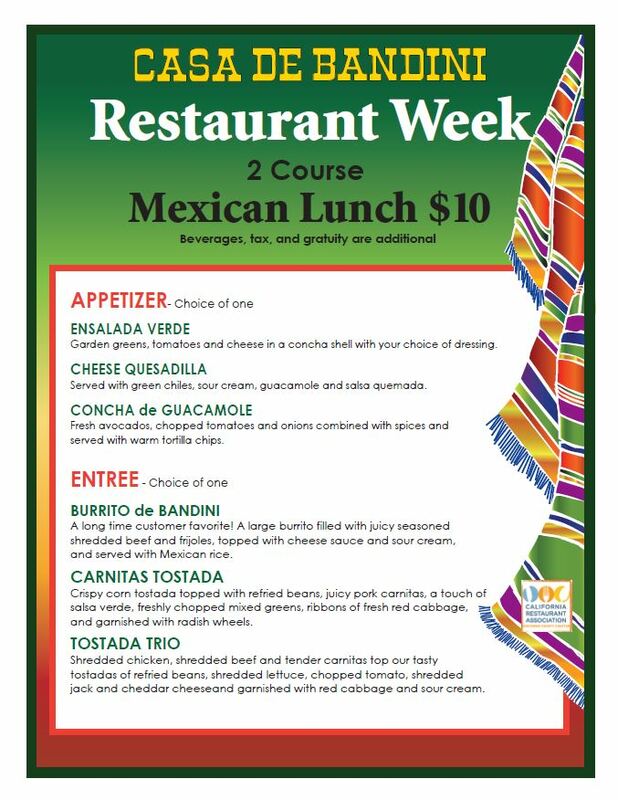 Come celebrate San Diego Restaurant Week at Casa de Bandini from September 25 to October 2! Come Catch ‘Em All at Casa de Bandini! 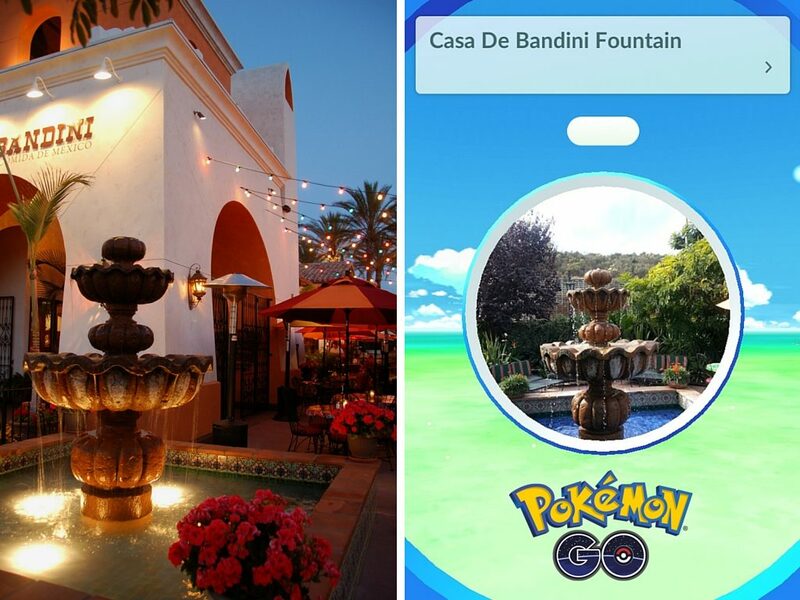 Hey PokémonGo players – Casa de Bandini is an official PokéStop in San Diego. 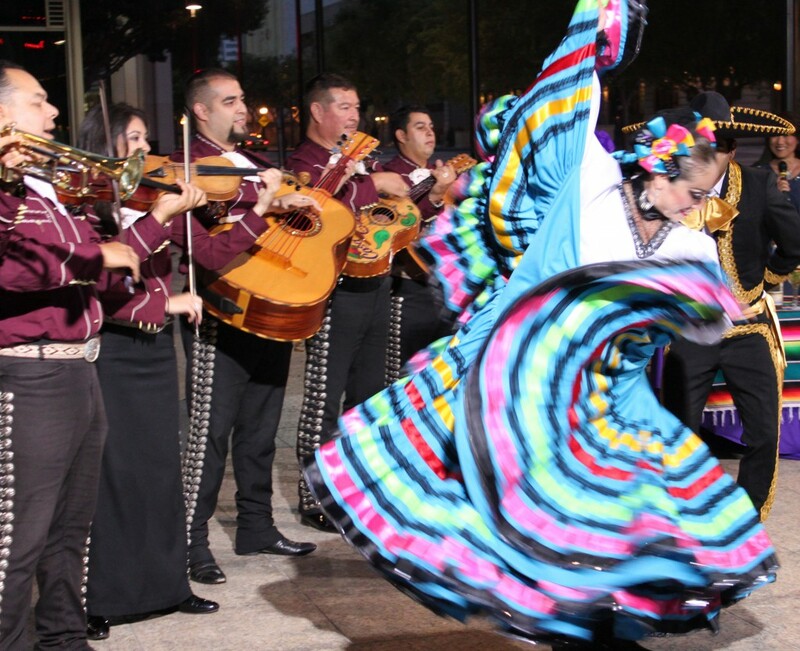 Let us turn your quest to catch ‘em all into a fiesta! 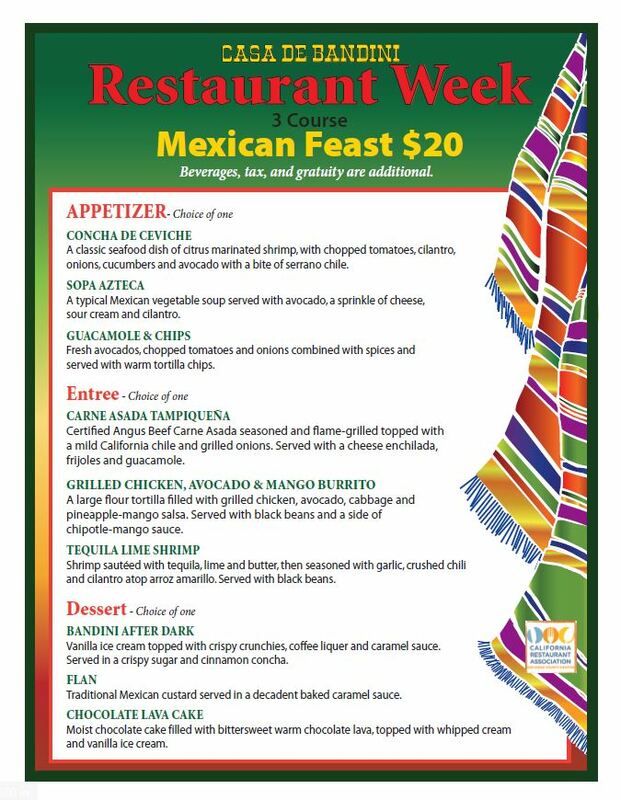 Specials on food and drinks include: the festive “Cincorita” margarita – strawberry, Midori (melon flavored liqueur) and lime in layers of green, white and red, paying homage to the Mexican flag; and a “Best of the West” Carne Asada and Shrimp Enchilada Plate, served with refried beans and achiote seasoned vegetables. Delicioso! 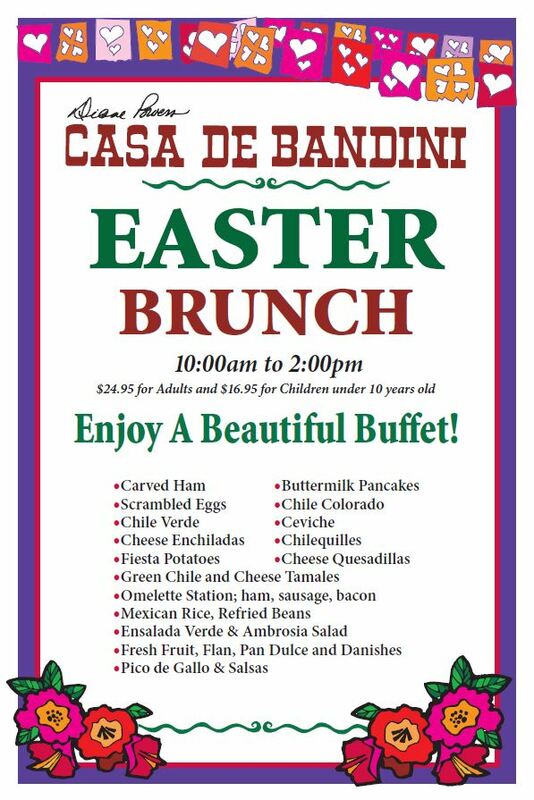 Come visit Casa de Bandini this Easter Sunday for a beautiful brunch buffet with delicious Mexican and traditional breakfast favorites! Fish Taco Fridays are Back! 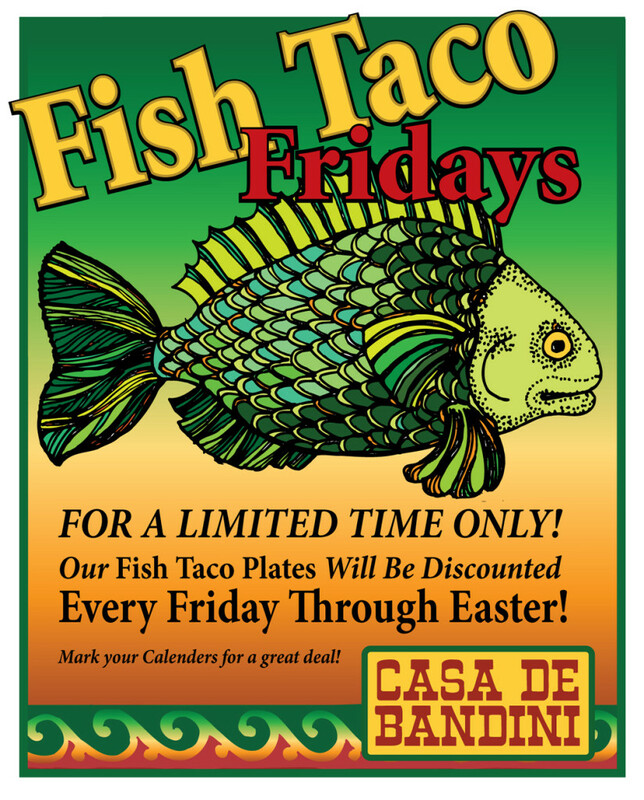 Now through Easter Sunday, every Friday is Fish Taco Friday at Casa de Bandini! Enjoy delicious discounts on your favorite fish taco plates and celebrate the start to your weekend. Come see us soon!